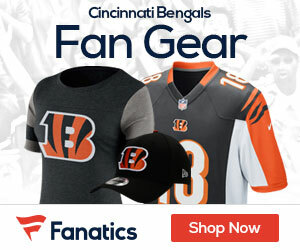 The Cincinnati Bengals’ top four cornerbacks are Leon Hall, Terrance Newman, Adam Jones and Dre Kirkpatrick. Hall will be 30 late this season while Newman and Jones are already thirtysomethings. Kirkpatrick, the team’s 2010 first-round pick in 2012 was thrust into significant time late in the season when injuries mounted in the secondary. While the cornerback unit isn’t the strongest, it’s not what you’d call thin, either. That said, the team could use some youth at corner. While the headliners like Aqib Talib, Alterraun Verner and Dominique Rodgers-Cromartie will be out of Cincinnati’s budget, guys like Walter Thurmond III and Captain Munnerlyn intrigue me. 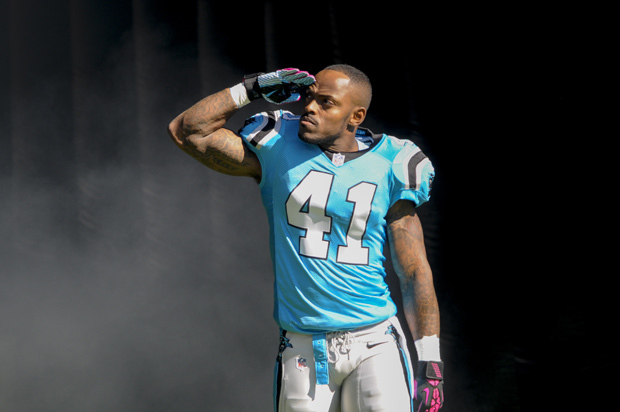 Though, at 5-foot-8, he’s best as a slot corner, I’m going with Munnerlyn in this spot because he’s a playmaker. The 25-year-old has made 135 tackles, defended 21 passes and had four interceptions (all of them returned for touchdowns) in the last two seasons. While those numbers don’t jump off the page, none of the aforementioned corners can boast a better resume over the last two seasons. A Hall-Kirkpatrick-Jones-Newman depth chart to open 2014 wouldn’t be the end of the world (as long as the team adds some safety help to back them up), but inserting Munnerlyn into that group (and possibly ousting Jones or Newman) would make at least one fan feel a lot more confident in the unit. An added bonus, Munnerlyn could carpool to Cincinnati with fellow-Panther free agent Ted Ginn to save the team on travel costs. You’re welcome, Mr. Brown.